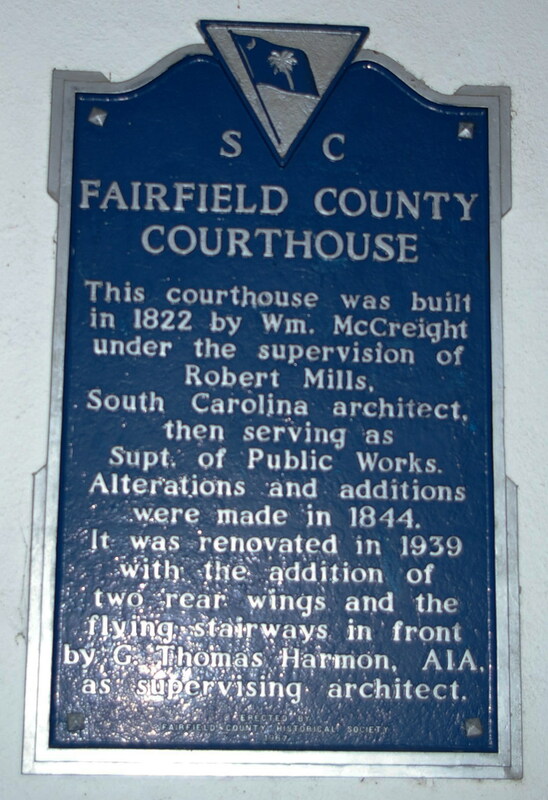 Fairfield County is named for the fair fields in the region. Description: The building faces east and is a two story white colored stucco and brick structure. 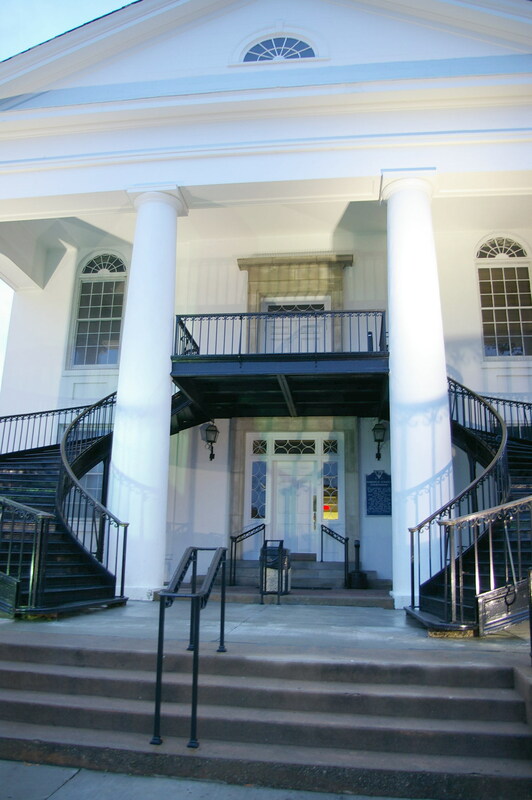 The building has a large portico supported by four large columns. 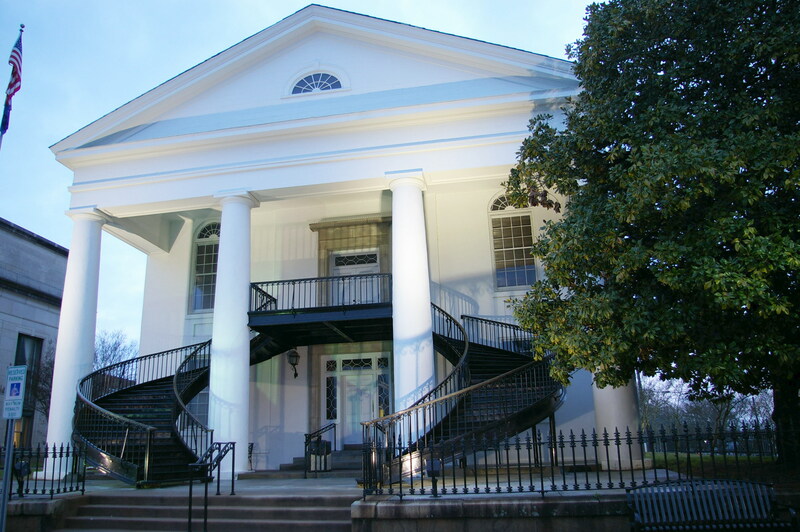 Two black wrought iron staircases ascend to the second story entrance. The building was remodeled in 1844 and in 1939 the west wing was added. 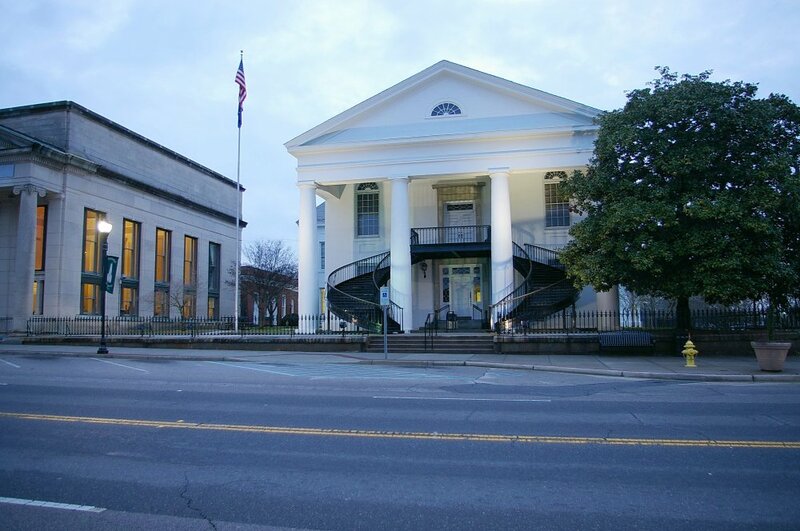 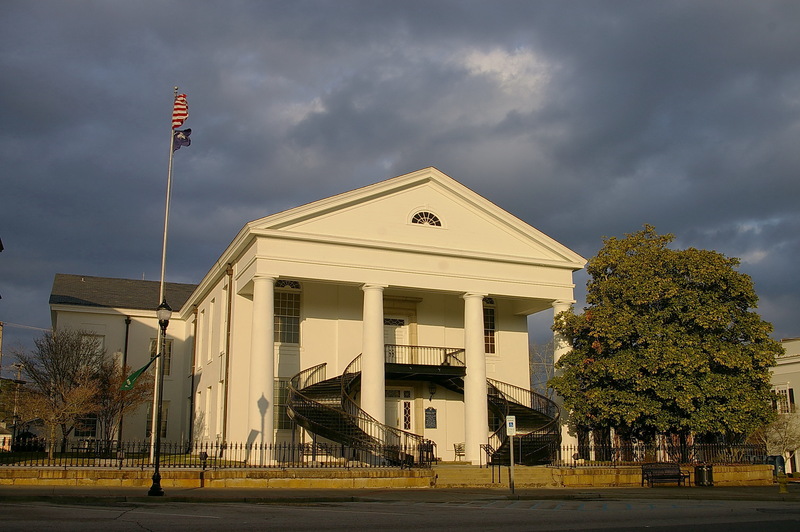 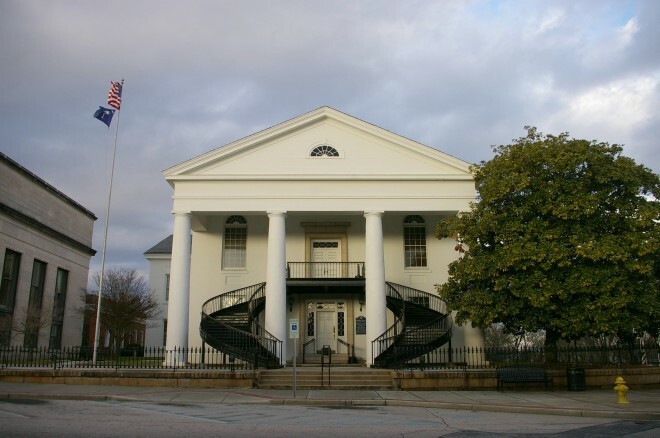 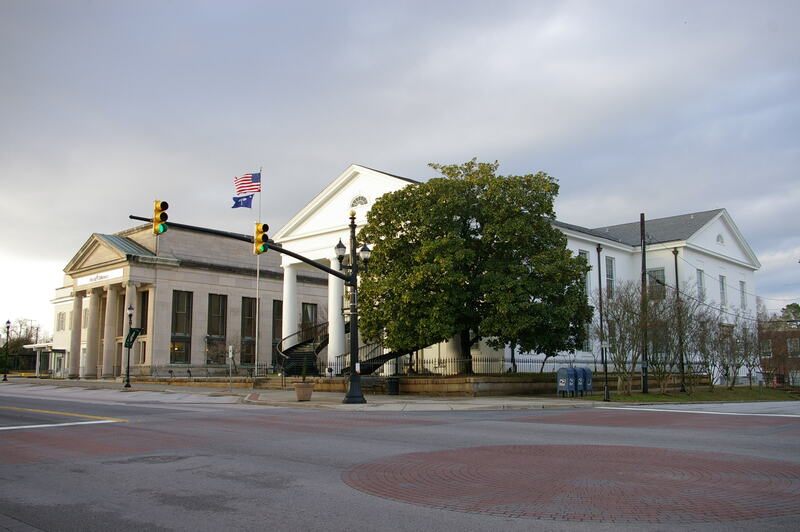 See: The architect, Robert Mills of Charleston, designed courthouses in Edgefield County, Georgetown County, Horry County, Lancaster County, Marion County and Williamsburg County.